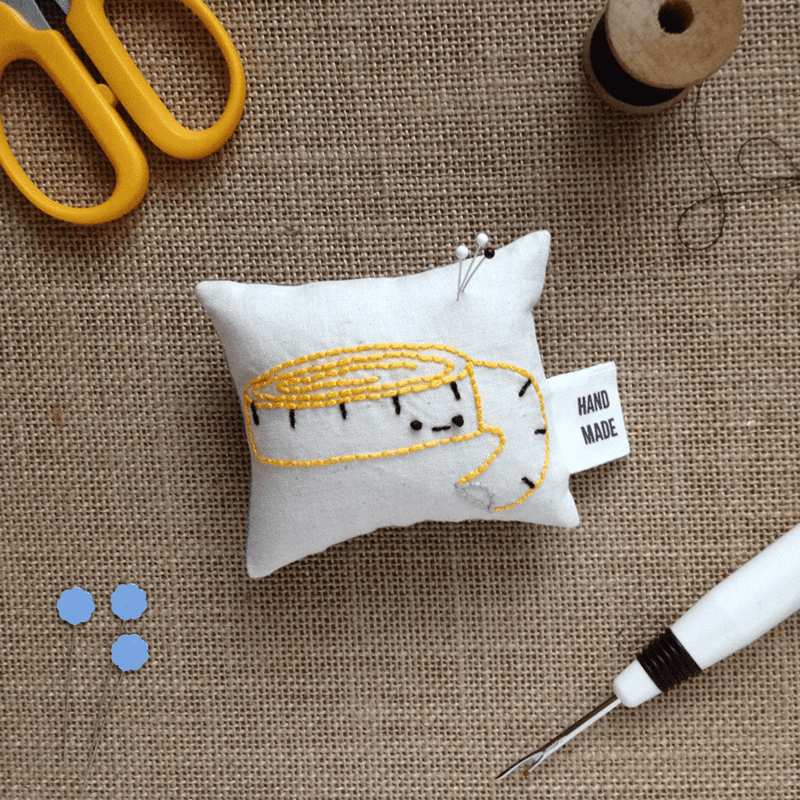 In today’s tutorial, I’ll share one way to create labels through Spoonflower that would be excellent for zipper pouches, throw pillows, quilts, clothing, pincushions, and anything else you can dream up. 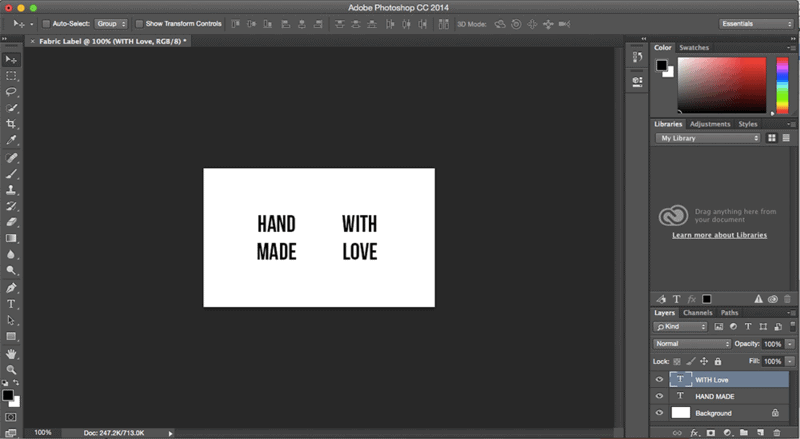 To start, you’ll want to create a simple label using your preferred design program. In this case, I used Photoshop and created a 2.5” x 1.5” rectangle at 150 dpi. Once you’ve saved your image, you’re ready to order. 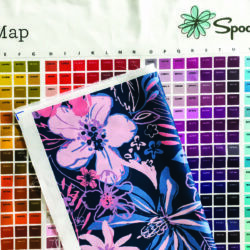 I uploaded my fabric labels to the Spoonflower site and set my repeat to Basic. For this project, I chose, and recommend, Cotton Poplin. 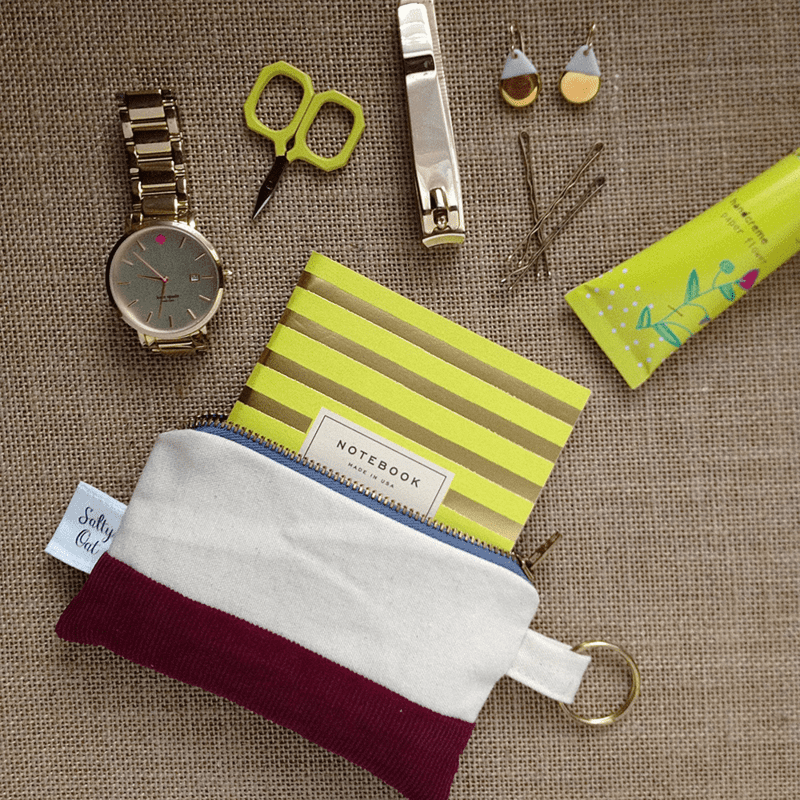 It’s a lightweight fabric with a crisp hand, which is perfect for labels. A test swatch yielded 15 labels, which will keep me well stocked for a while. Once you receive your fabric, you’re ready to start cutting. 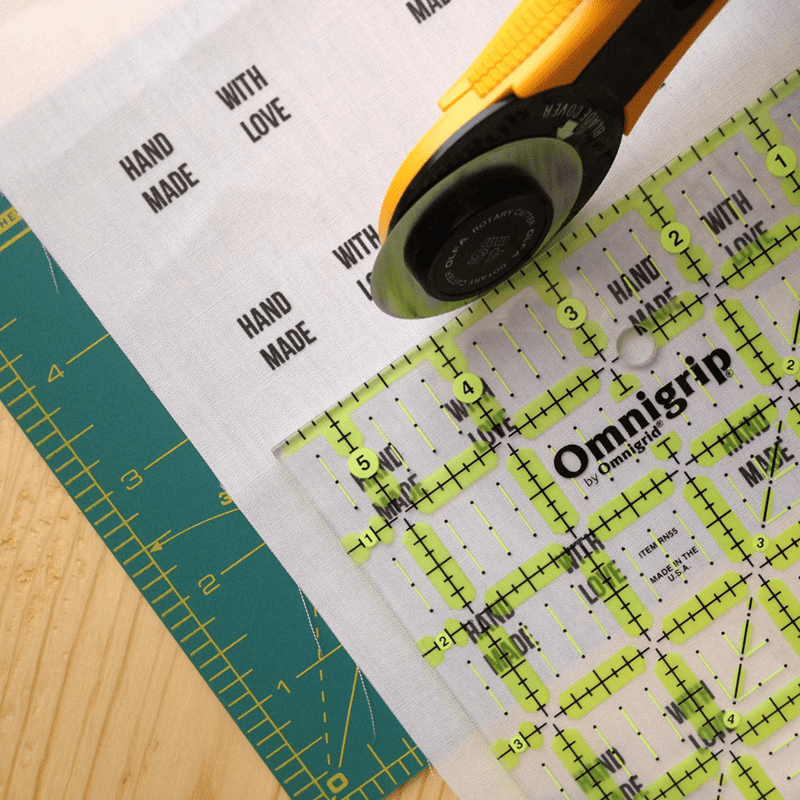 Cut your fabric into strips using a rotary cutter, cutting mat, and clear ruler (or a sharp pair of scissors). 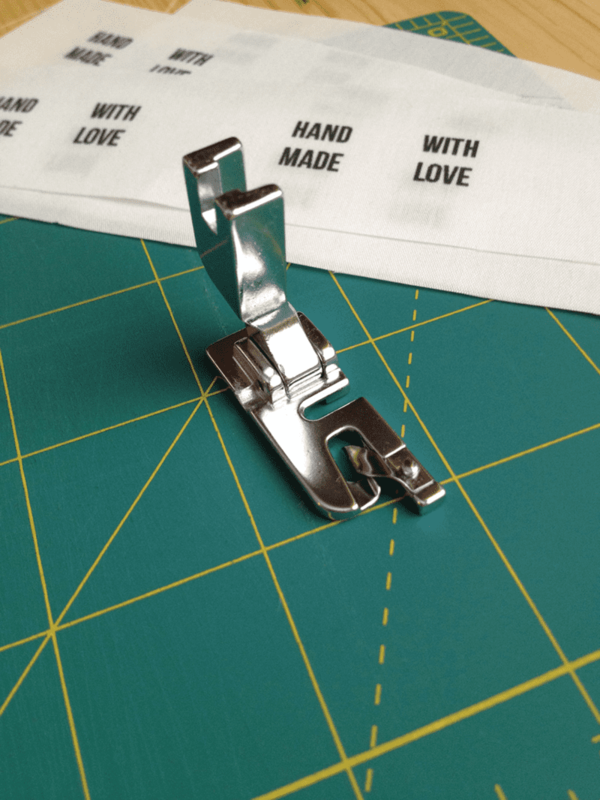 Once the strips are cut, load a rolled-hem foot onto your sewing machine. This is an excellent foot for creating those small, clean hems you see on silk scarves and cotton handkerchiefs. 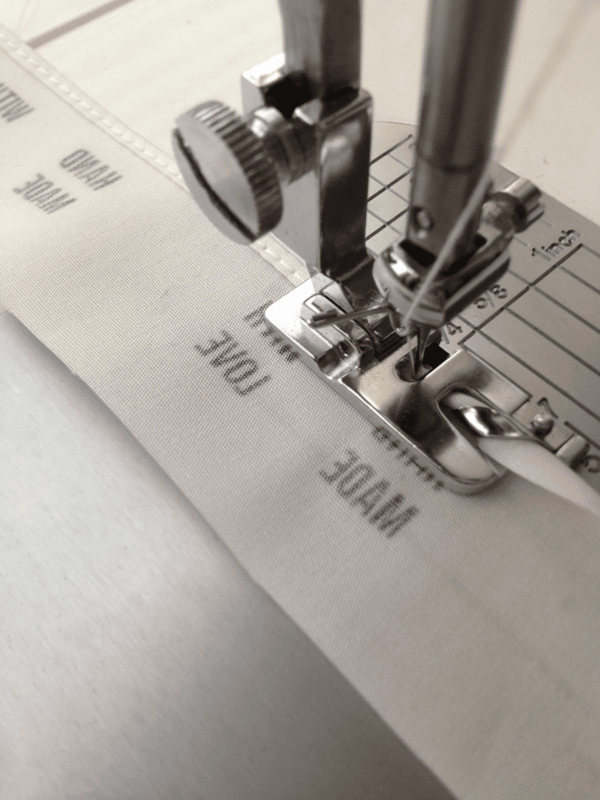 Using the rolled-hem foot will allow you to professionally finish the edges of your labels, so that they don’t fray. Hem the sides of each of the label strips, and then cut them down into individual labels. 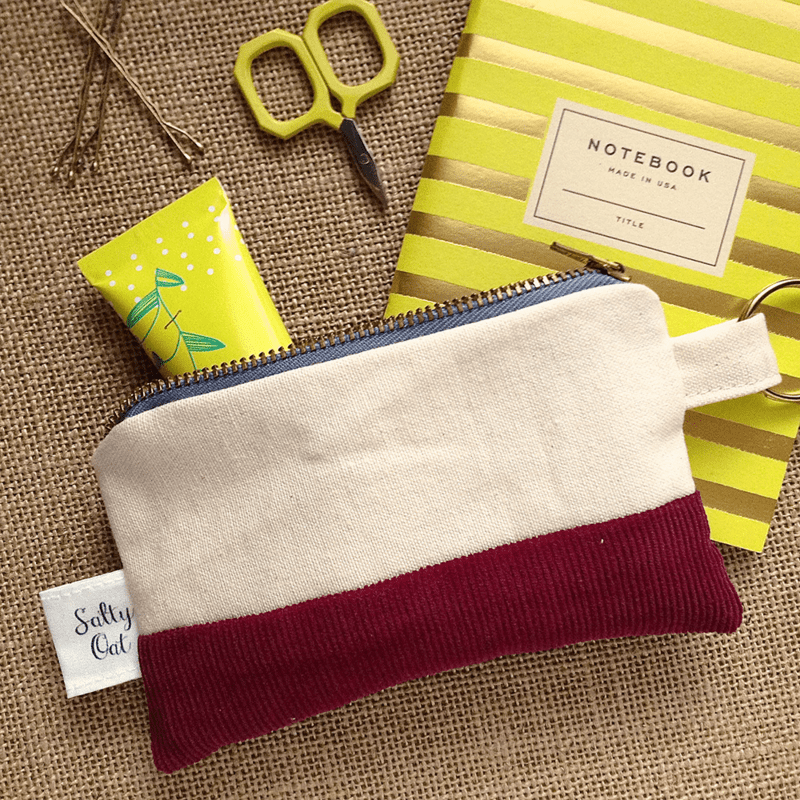 Now you’re ready to add them to your projects by simply sewing them into your items’ seams. 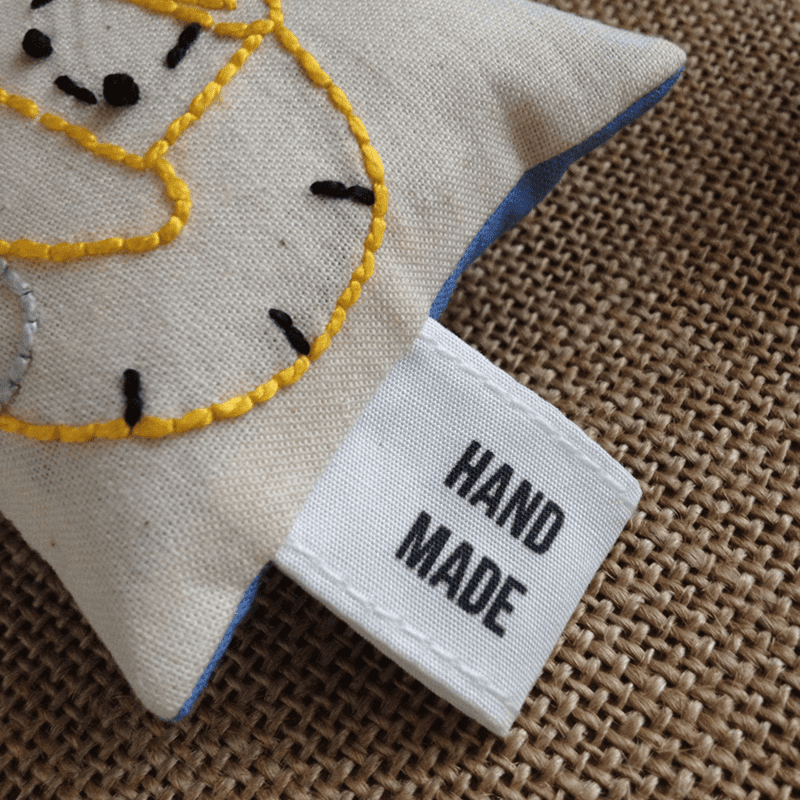 In my case, I added a fabric label with my company’s logo to a zipper pouch, and a “Handmade with Love” label to a pincushion I made from a Wild Olive design I embroidered by hand. I simply folded the labels in half, pinned them to the outer edges of my cut fabric pieces, and sewed as usual. Do you try to label everything you make? By making a set of labels in advance, you’re always ready to personalize your work, even at the last minute! Caitlin Topham is a quilter and small online fabric shop owner based in Raleigh, NC. 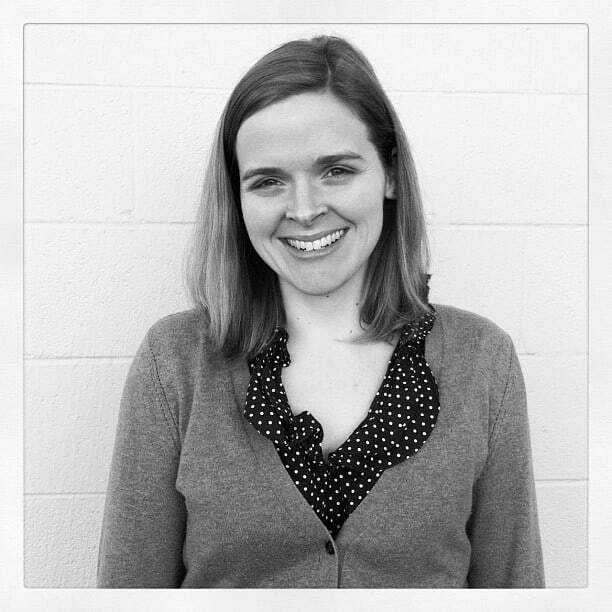 Her work features bold and modern fabrics, and minimal and improvisational designs. She can be found online at Salty Oat, as well as on Instagram and Etsy. Thanks Caitlin! I love that you features a test sample for those of us who DEFINITELY don’t need a yard of these. Thank you, that’s a great idea! Thanks, Kelleigh! It’s always nice to be able to fit your project onto a test swatch! Oh thanks! This is really helpful! Thanks! I’ve been thinking about making these! Do you think it’s do-able in Pic Monkey? (My computer with photoshop is on the fritz). Either way…great tutorial! do you save the photoshop file as a jpeg? Great idea. I would add small marks at the corners so you know where to cut without having to measure. 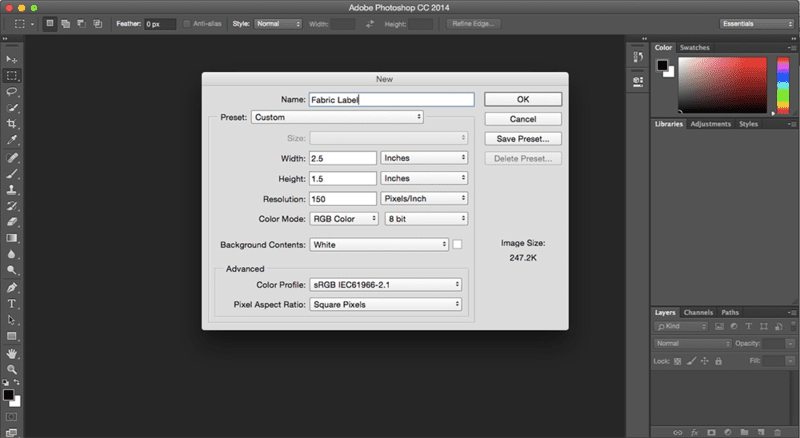 When you're finishing creating your design in Photoshop, you will select file–>save. Next you will name your file and select JPEG from the drop down menu. This is certainly doable in PicMonkey! You can take this concept and complete it in whatever design software you're most comfortable with. I’m making pillows for my entire family, to give to them next Christmas. I want to put a personalized label on them, but I wasn’t sure how to do it. This is an extremely easy, and affordable way that I can personalize each pillow I’m giving them! Thank you so much, this will save me so much time and frustration! really cool! 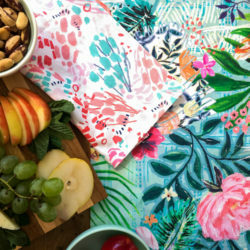 I like definitely like this idea for handmade“>https://www.etsy.com/shop/StationeryNPresents”>handmade creations. Thanks Caitlin! It is very inspiring! 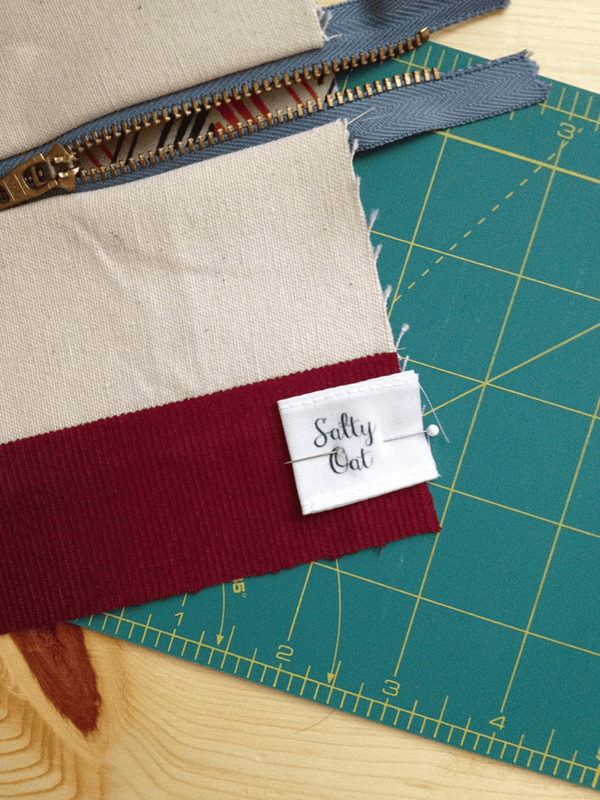 This seems like a stupid question, but what happens if I am unable to use a rolled-hem foot (or any foot, for that matter) to finish the edges of my labels? Will they for sure fray? Do you think they would fray if I printed my logo on the bias? I’m just not very experienced at sewing such a small seam, and I’d love if I could just cut the labels and be ready to sew them in my project. I hear you! I would recommend pinking the labels or simply cutting them with regular straight scissors and using fray check on the edges instead. Hope this helps! You can also make them extra wide, fold them over inside-out and sew a regular seam, then pink them and turn the label right side out. Then you have one open side to sew into your garment seam. Thank you so much for this tutorial which I\’ve just found. I\’ve been looking into getting some labels made for the tea towels, pouches and pillows I make with my Spoonflower fabrics but the cost is prohibitively expensive. This sounds like a great alternative and I can\’t wait to have a go. What if you don’t have photo shop or anything like it.. Can I use paint? As long as you can create text in the program and save it into one of our accepted file formats, you can use Paint! I LOVE your HAND MADE WITH LOVE tags. It’s exactly what I’m wanting. Is it possible to order them on here without designing my own? Thanks so much for stopping by! 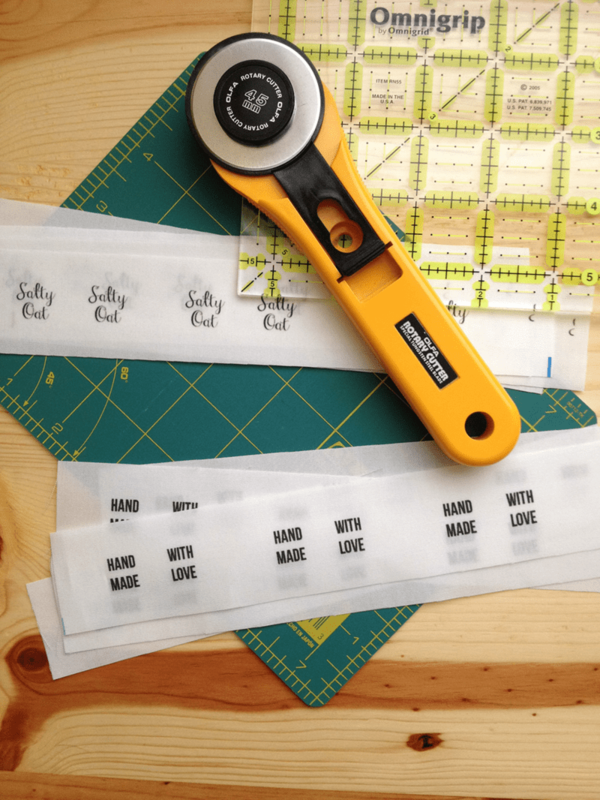 You’re in luck – Caitlin has made these DIY labels for sale in her Spoonflower shop, available here. Thanks for your idea could you email me instructions for creating one in photo shop. Please and thank you! 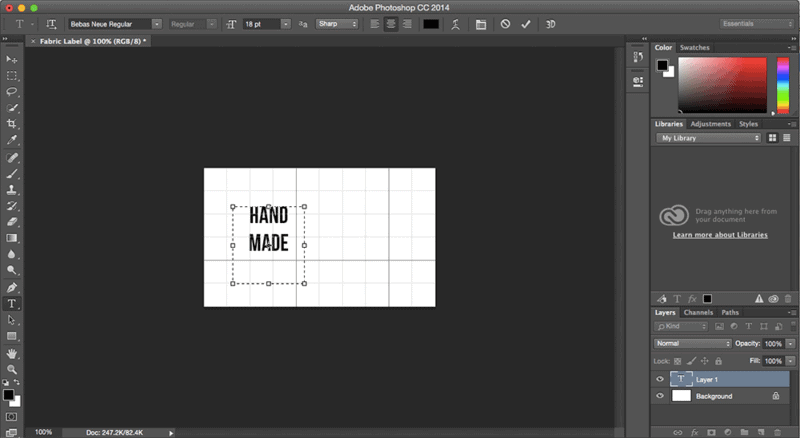 This tutorial is specific to Photoshop but if you have specific questions about the tutorial, please let us know! Thank you for the information. I love the hemmed label. 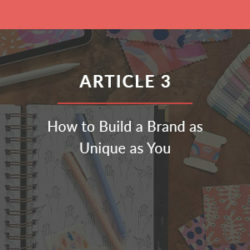 Outstanding article! Thank you so much. I\’ve already ordered my custom labels. 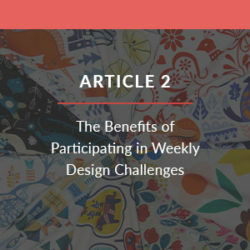 « 5 Pieced Projects to Inspire you This Week!